Which was nothing. Except for copious amounts of broken glass. Cars flood streets like a constant plague of locusts. Cars stick to a few main roads, and even there traffic is never bumper-to-bumper. A car on a side street is rare, like spotting a unicorn. Parked cars on most streets mean constant fear of being door-prized. No cars parked on streets, unless they are broken and haven’t moved in years. Vehicles squeeze by cyclists, mere inches from sideswiping us. Vehicles move to the other lane to pass cyclists. Seriously! It’s amazing! Some glass on streets. Glass EVERYWHERE! Impossible to avoid. So glad we switched our speedy Kojak tires for durable Marathon tires. 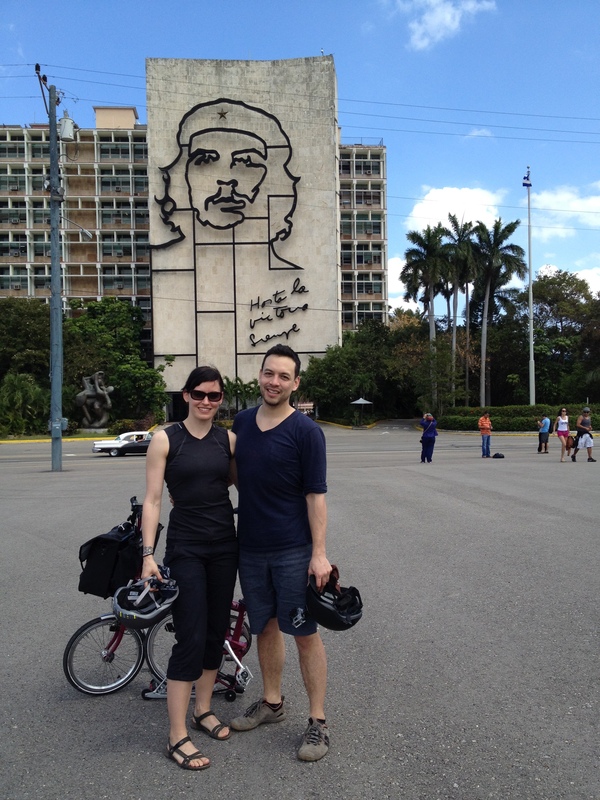 So cycling in Havana is highly recommended. 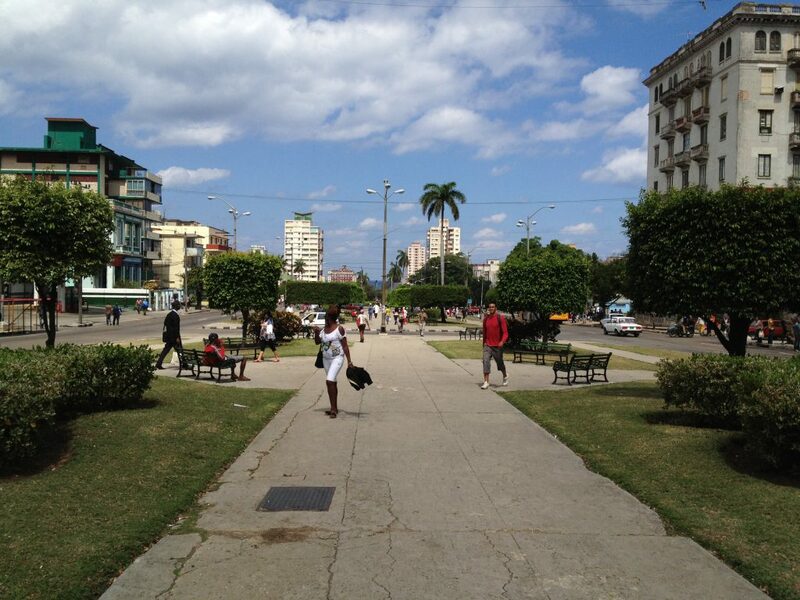 It’s a great way to see the sights, most of which, except for Old Havana, are pretty far apart. I don’t know how we would have made it to the Plaza de la Revolucion without bikes. It would have been a long walk. Or a crazy bus ride. Or taxi. 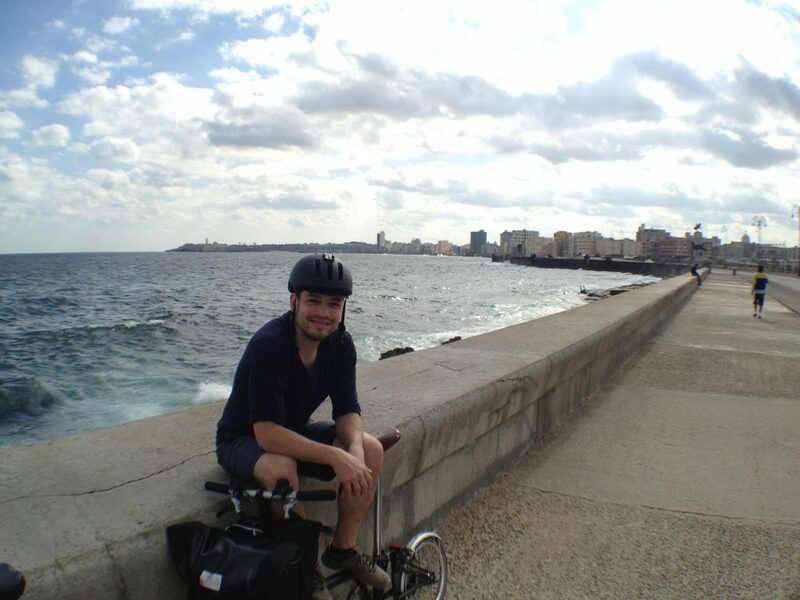 Also, cycling along the Malecon is nice, despite the bumpy patches. Old cars in parking lots, and a couple buses on an otherwise not-too-busy main road. 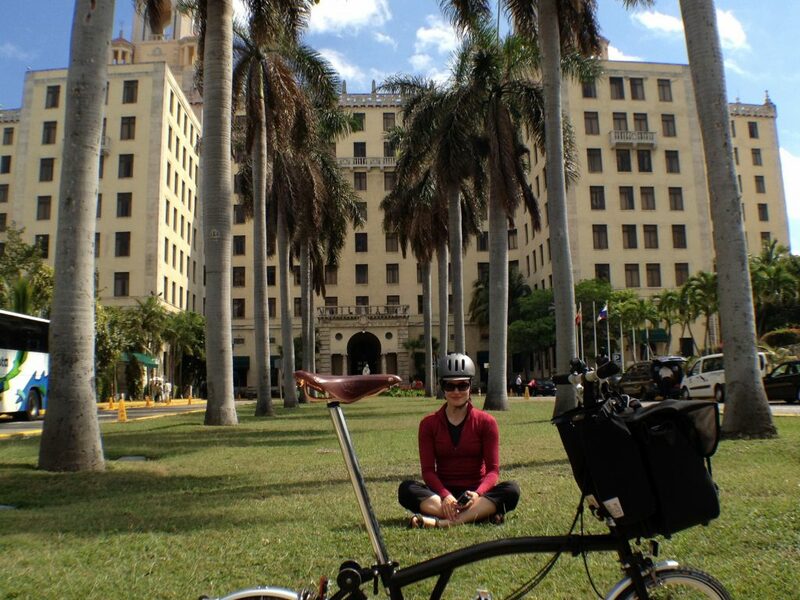 Heather in front of Hotel Nacional. We totally folded our bikes up and brought them inside to look around. 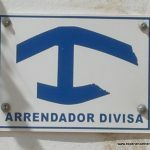 Avenida de los Presidentes. 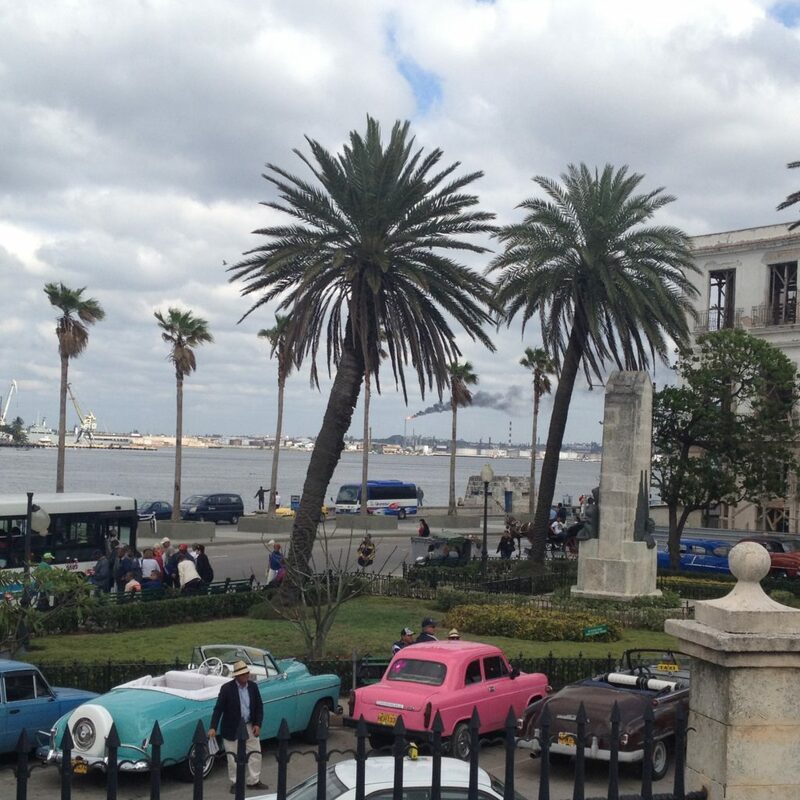 One of the main streets in Havana, and only two cars in this picture! 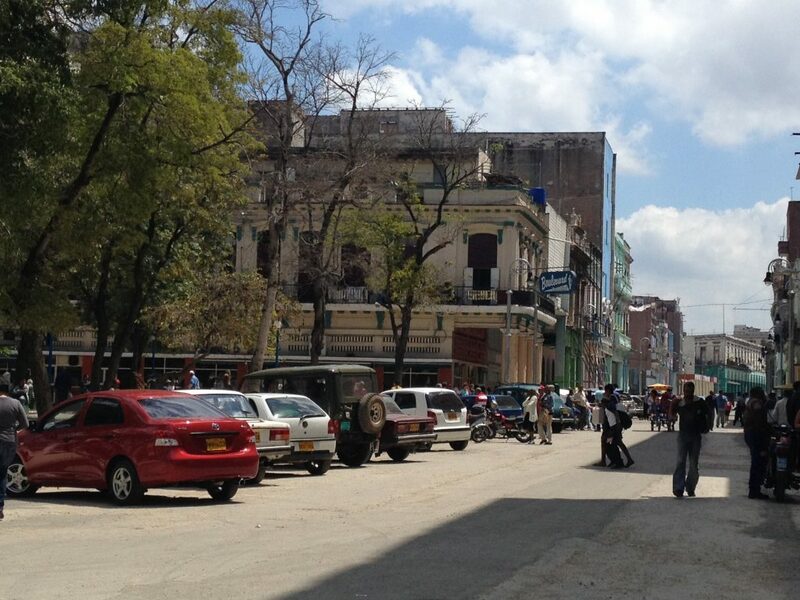 Centro Habana main drag – one of the few places we saw cars parked on the street. 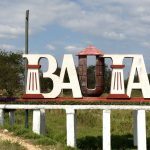 But even then, no cars driving on the road, just pedestrians and bike taxis. 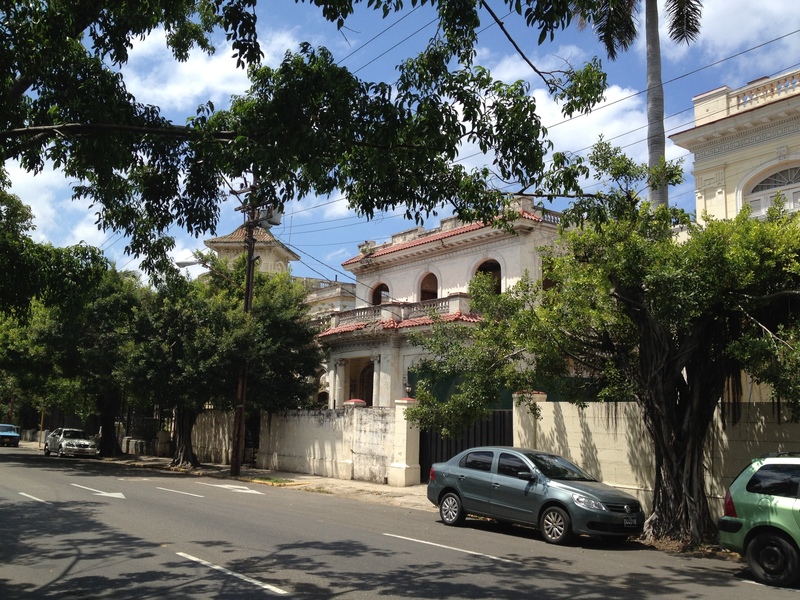 Havana burb of Vedado, where people have enough money to own cars and park them on the street. But note this is a one-way, so we didn’t have to cycle past the driver’s side door and worry about getting knocked into traffic. Then again, what traffic?! None of the cars in this pic are moving! Hopefully you are on your adventure right now! We wish we were there this year too. February in Toronto was absolutely terrible.